You'll be £8.99 closer to your next £10.00 credit when you purchase Newtownards in the Great War. What's this? Before the Great War began, Ireland had already begun to take up arms. Conflict and political unrest was at the forefront of everyone's mind as the country was trying to liberate itself. Newtownards was to become the centre in the eye of the storm which would shape the country for the next hundred years. But when War threatens the lives of countless people, it was the men of Ulster and Ireland that answered the call. 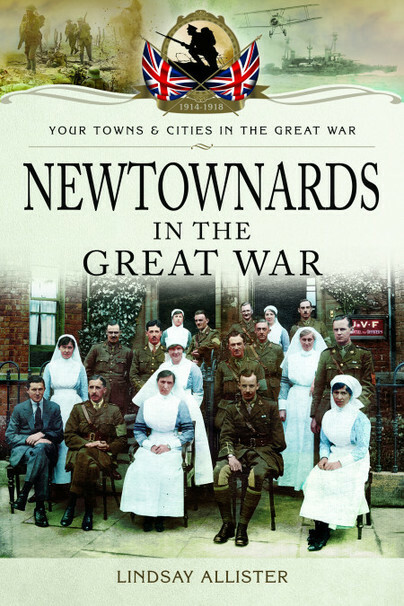 Newtownards in the Great War tells the tales of the men and women who were prepared to sacrifice everything they had in order to be free from persecution and serve their King with pride. From the beginnings of the UVF to the division of Ireland, Newtownards and the Ards peninsula held the secrets of the men and shaped the world in a way no-one thought would be possible. Have read this book. Was well written and photos where lovely to see. Real Great in site to the history of Ards and surrounding areas. Really enjoyable book that you can't put down. We'll done to Lindsay Allister. Lindsay Allister was born in Belfast and raised in Newtownards where she discovered the how the unremarkable history of the town shaped everything. She studied at Movilla High School in Newtownards and remains active there as a parent. She is currently a freelance writer who has worked locally and nationally with various papers. She discovered her love of history after her father made her take part in the Brownie Guides history badge project.